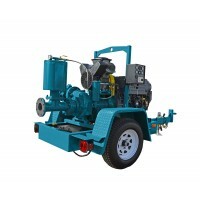 Dry prime pump with 8" connection. 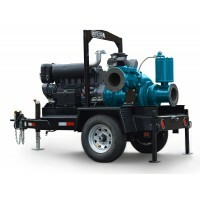 Pump up to 4500 GPM with up to 200 ft. of head capabilities. 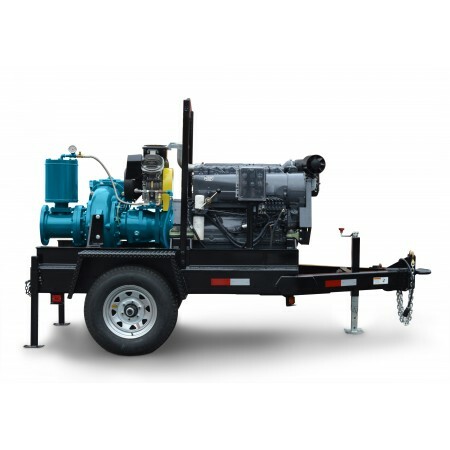 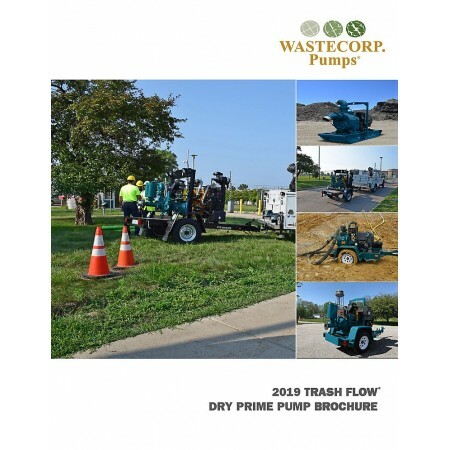 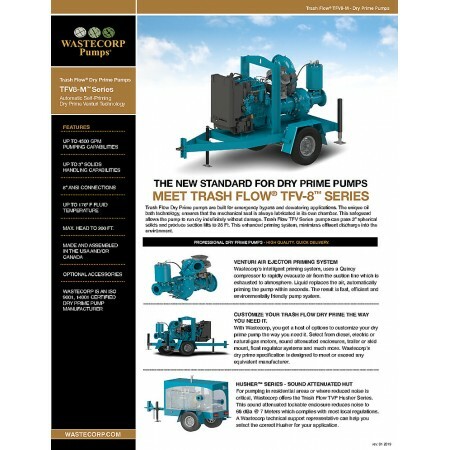 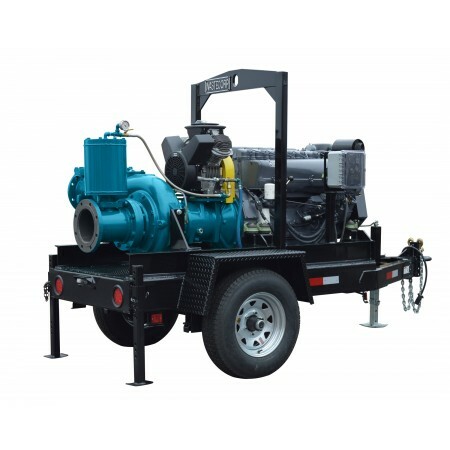 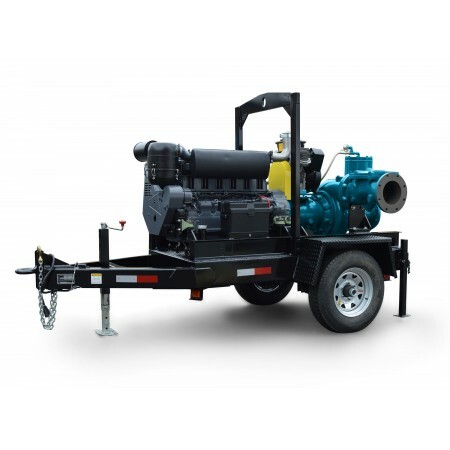 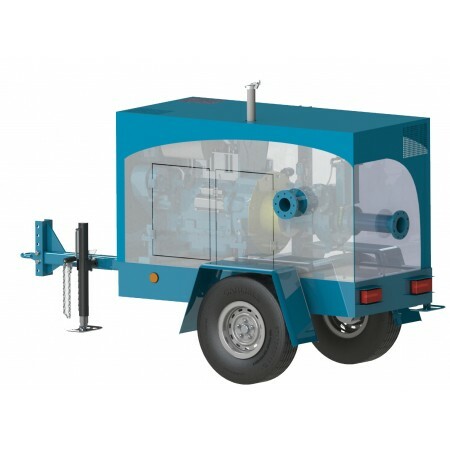 Trash Flow 8" dry prime pumps are available as portable or stationary models (trailer mounted shown). 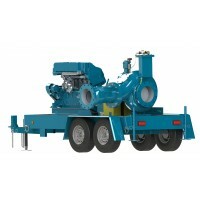 Connection size: 8" x 8"